Spc. 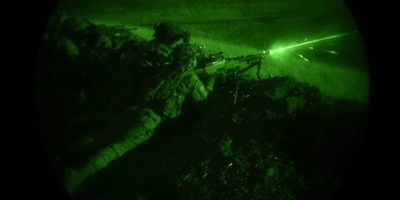 Rolyn Kropf/US Army photoSoldiers of the 2nd Calvary Regiment engage targets during a live fire exercise in Vaziani, Georgia during Exercise Noble Partner in August 2018. 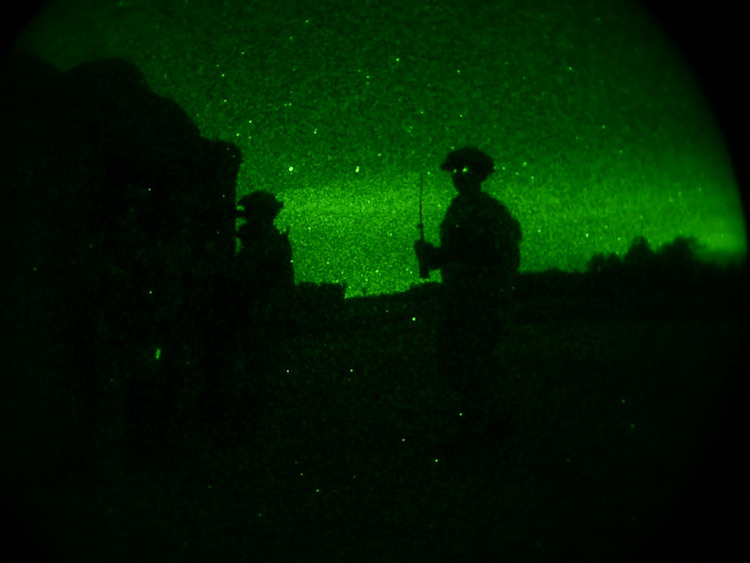 The exercise supports and enhances interoperability of Georgian and US forces. For members of the US military, “Train like you fight” isn’t just a saying – it’s the way they steel themselves to peform tough tasks under fire. Troops don’t get to choose when to fight, so they have to be prepared to operate at any time and in any location. Although nighttime operations and exercises are riskier, they are imperative for troops, especially those in special operations or who serve in combat zones. 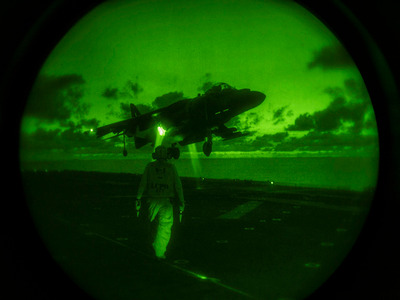 These photos show just a glimpse of the types of operations the US military trains for at night. Fast roping over the deck of a moving warship is hard enough during the day—see what it looks like at night. Staff Sgt. T.T. 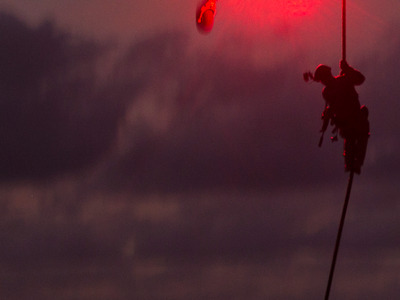 Parish/US Marine Corps photoA Recon Marine fast ropes from a Navy MH-60S Seahawk helicopter during low light ttraining on the USS Bonhomme Richard in 2017. 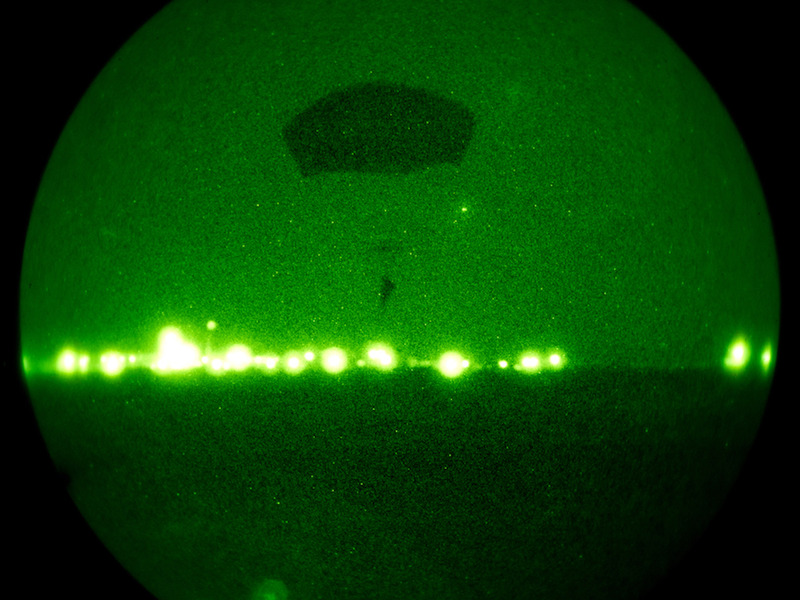 Paratroopers perform night-vision airdrops during multinational exercises. Staff Sgt. Kyle Brasier/US Army photoA US Army paratrooper conducts a nighttime jump during Exercise Mobility Guardian in Washington in August 2017. Soldiers don’t get to choose when they will have to fight, so they train to be ready anytime. 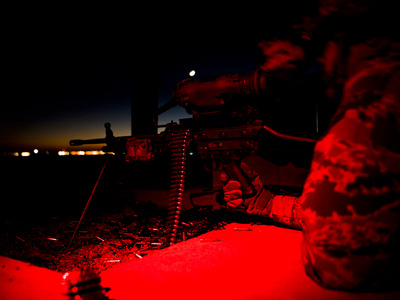 Senior Airman Colville McFee/US Air ForceAn airman with the 9th Security Forces squadron fires an M240 machine gun during night fire weapons training at Beale Air Force Base in California. Some exercises allow conventional forces to work alongside with special operations troops, who lead the most dangerous combat missions. Senior Airman Clayton Cupit/US Air Force photoJoint terminal attack controllers and tactical air control party airmen prepare to enter a building during a raid scenario during Southern Strike 17, a multi-service training exercise. Alaska provides the perfect opportunity to train troops for Arctic climates — and comes with a great view. Staff Sgt. 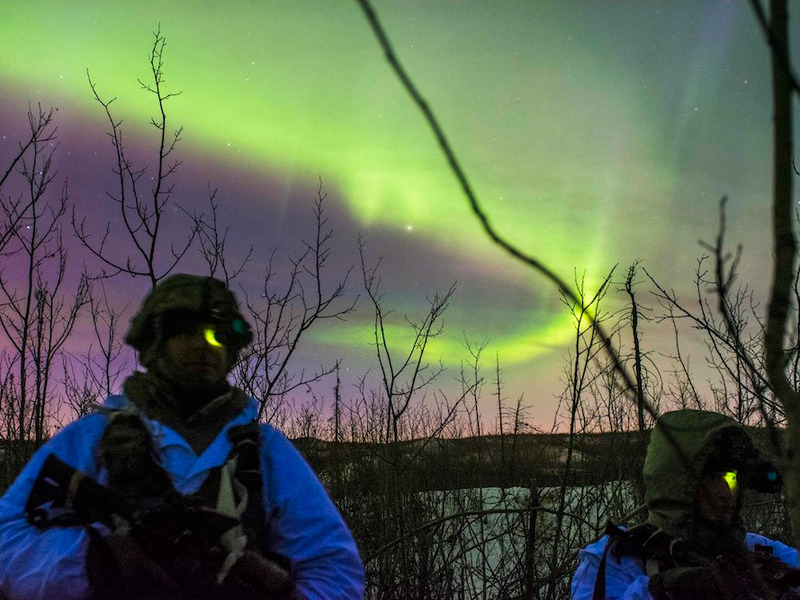 Daniel Love/US Army photoUS soldiers monitor for forces pretending to be their enemy during a training exercise in Fort Greely, Alaska in 2016 in view of Aurora Borealis. Exercise Spartan Cerberus focuses on airborne, infantry, and Arctic tasks in subzero temperatures. Mass Communications Specialist Third Class Devin M. Langer/US Navy photoAn A-8B Harrier, which needs little runway to land and take-off, lands on the flight deck of the USS Makin Island during nighttime flight operations. 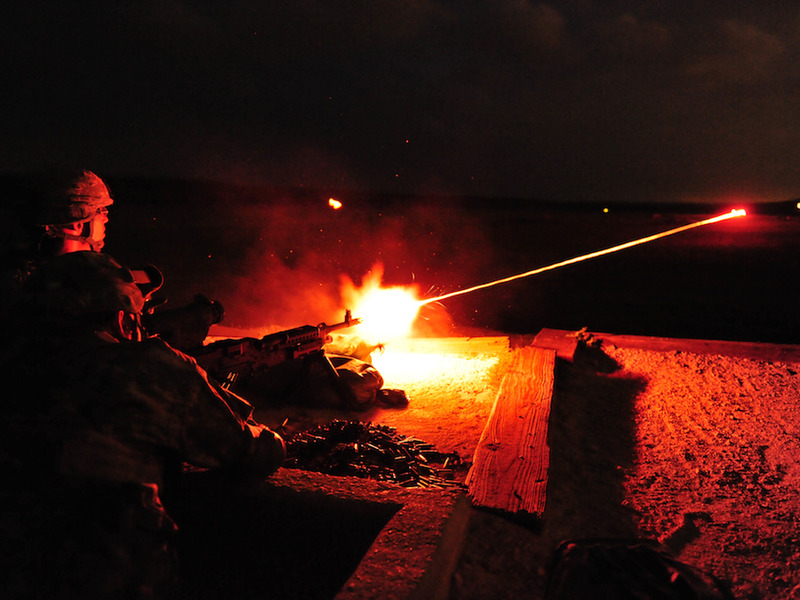 Tracer rounds add useful guidance for troops to adjust their aim during low-light weapons training. Liesl Marelli/Colorado Army National GuardMembers of the Colorado National Guard fire M240s with tracer rounds at Fort Hood, Texas in April 2009, before the unit deployed in support of Operation Iraqi Freedom.